The first five tours in 2016 are over. THANK YOU, P.R.O.B.L.E.M.S., Don’t, Jenny Don’t And The Spurs, Feral Kizzy, THE Veggers and Reddot! You are wonderful people and fantastic musicians and I love working with all of you! Come back soon, please! 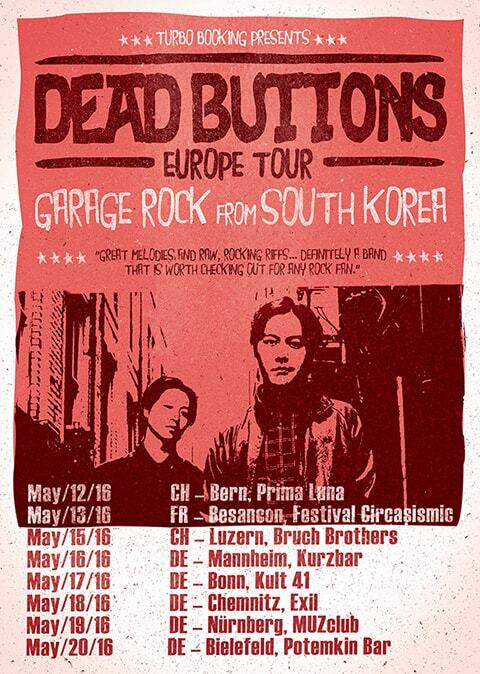 In May I will be on tour in Germany, Switzerland and France with the Dead Buttons from Seoul!